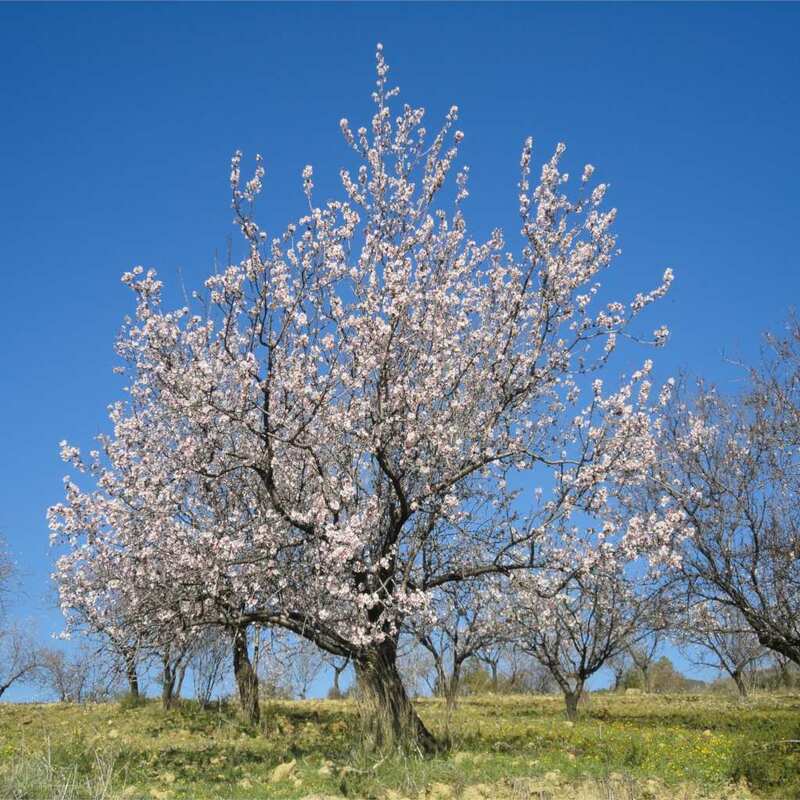 The almond tree is a simply magnificent fruit tree, famous for its spectacular pink-white blooming. Caring and pruning it are steps that will lead to a quality harvest of almonds. Recommended is to plant your almond tree in fall to speed root development up before winter, because this tree has a very early growth phase. If you must plant during winter, spring or summer, avoid frost and freezing and heat waves, and water regularly in summer. 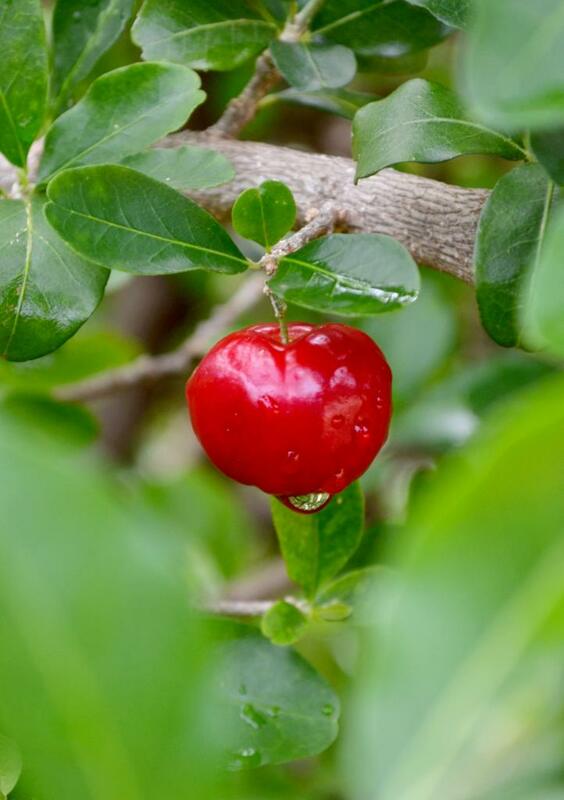 Provide for adequate, regular watering at planting and during the 2 first years after that. Even though it may be self-pollinating, almond trees are more productive if another pollinating variety is planted nearby. Although the almond tree itself isn’t vulnerable to the cold, the blooming can be adversely affected and abort in case of late frost spells. Since almond flowers are very sensitive to the cold, it is highly recommended to find a spot for it that is very sheltered from cold winter winds. 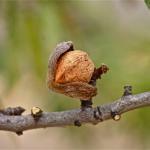 Pruning your almond tree takes place quite early, towards the end of summer and at the beginning of fall. 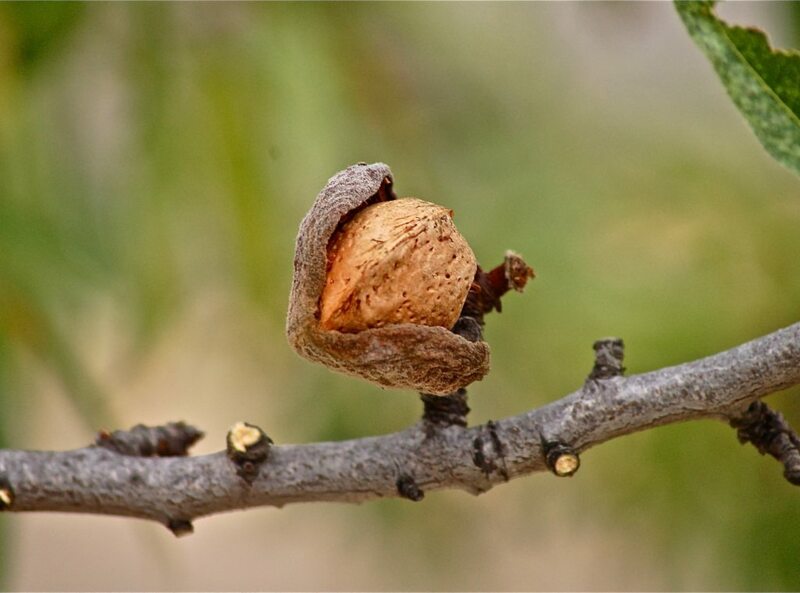 The almond tree slowly enters its dormant state and this span of time is when pruning avoids excessive sap runoff which often leads to gummosis. So no point in taking the risk of cutting your almond tree back too severely. Simple clearing of the inside of the tree to ensure proper light penetration is enough. Also eliminate dead, weak or crossing branches. Easy to grow and requiring only limited care, the almond tree also has the advantage of offering a very beautiful blooming at the end of winter and generously bears fruits as early as July. The almond tree flowers appear before the leaves do. It is the 1st fruit tree to bloom at the end of winter. The almond tree is considered to be one of the symbols of virginity. Often planted as a standalone, its small size makes it possible to set it up in small groups of 3 or 4. 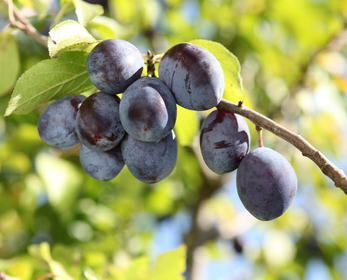 The fruits are about 1 ½ to 2 inches (4-5 cm) large and can be eaten either fresh and green in summer, or dry in fall. A symbol of love and virginity, the almond tree drapes itself in a white robe in spring before any leaves have even appeared. This white robe is similar to that of a bride on her wedding day. The harvest takes place in either of two distinct time frames in the year, depending on whether you hope to eat fresh almonds (left) or dry ones (see right). The almonds of the almond tree are harvested at the end of spring, towards May-June if you want them fresh or green, and often towards the month of September at the end of summer if you want them dry. 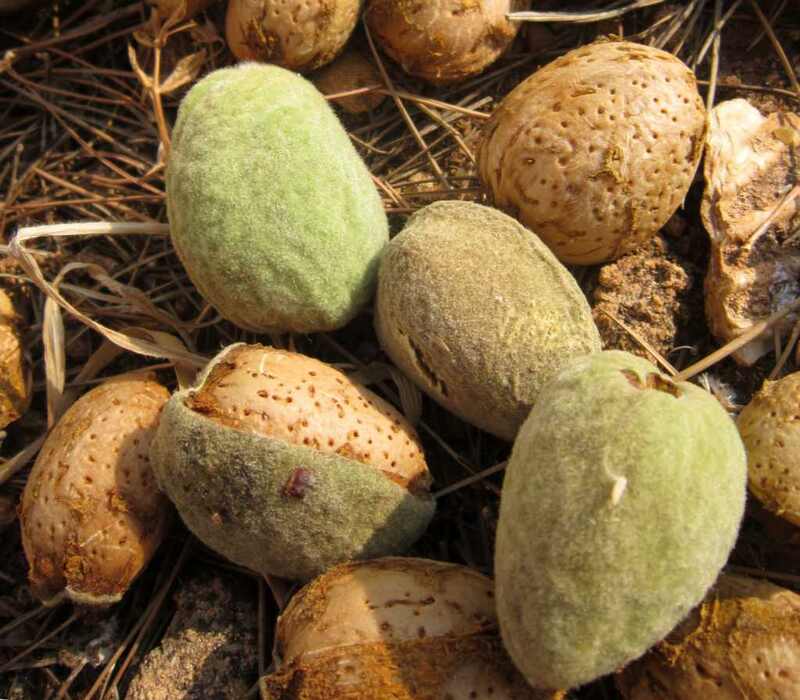 To harvest almonds dry, wait for the husk (the part that surrounds the shell) to have dried out and opened. 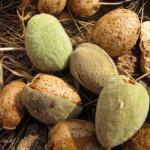 Watch out though for bitter almond (fruit of the wild almond tree), because it contains hydrogen cyanide which is poisonous to man and can even be fatal if high doses are ingested. 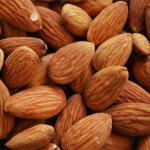 Almond has high oil, protein, carbohydrate and vitamin contents. 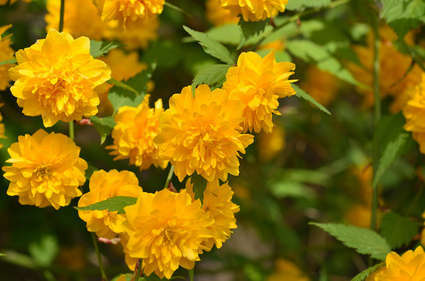 It also has cosmetic properties that are softening and hydrating in case of skin inflammation (wound-healing and anti-inflammatory in cosmetology). 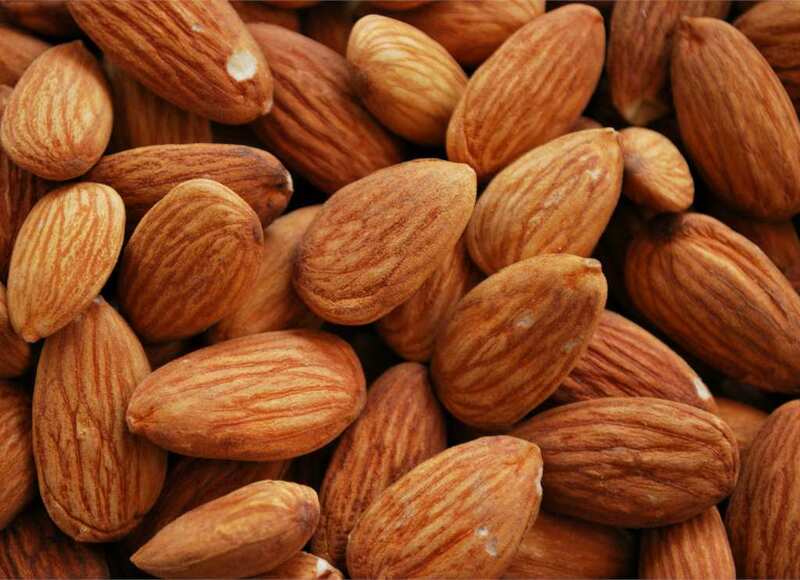 Almond both softens and acts as a skin tonic, which gives it uses much appreciated in dermatology. Lastly, almond tree buds are used in gemmotherapy since they have been said to have anti-sclerosis effects for elderly persons. Animals also benefit from almond, since veterinarians use it on herds for its laxative properties. After the harvest, separate the almonds from their hull and dry them in the sun on mesh trays that provide proper ventilation.